12mm Clear rigid pipe/tube made of PVC (U-PVC/PVC-U). Compatible with standard grey metric sized UPVC fittings. 16mm Clear rigid pipe/tube made of PVC (U-PVC/PVC-U). Compatible with standard grey metric sized UPVC fittings. 20mm Clear rigid pipe/tube made of PVC (U-PVC/PVC-U). Compatible with standard grey metric sized UPVC fittings. 25mm Clear rigid pipe/tube made of PVC (U-PVC/PVC-U). Compatible with standard grey metric sized UPVC fittings. 32mm Clear rigid pipe/tube made of PVC (U-PVC/PVC-U). Compatible with standard grey metric sized UPVC fittings. 40mm Clear rigid pipe/tube made of PVC (U-PVC/PVC-U). Compatible with standard grey metric sized UPVC fittings. 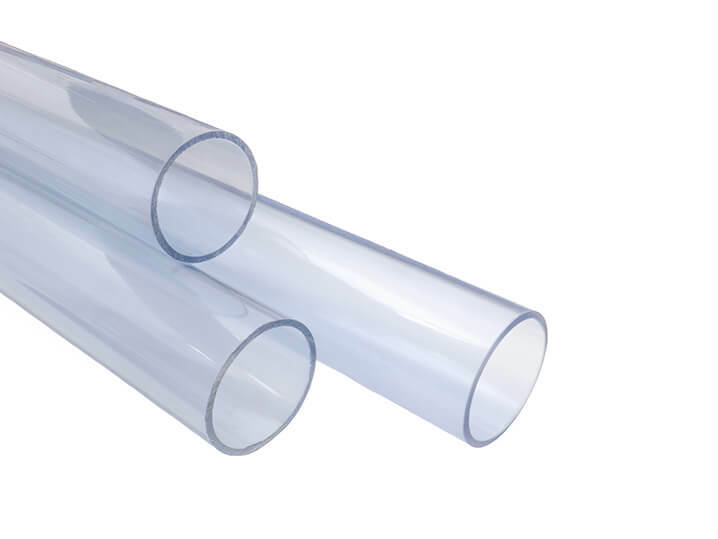 50mm Clear rigid pipe/tube made of PVC (U-PVC/PVC-U). Compatible with standard grey metric sized UPVC fittings. 63mm Clear rigid pipe/tube made of PVC (U-PVC/PVC-U). Compatible with standard grey metric sized UPVC fittings. 75mm Clear rigid pipe/tube made of PVC (U-PVC/PVC-U). Compatible with standard grey metric sized UPVC fittings. 90mm Clear rigid pipe/tube made of PVC (U-PVC/PVC-U). Compatible with standard grey metric sized UPVC fittings. 110mm Clear rigid pipe/tube made of PVC (U-PVC/PVC-U). Compatible with standard grey metric sized UPVC fittings. 160mm Clear rigid pipe/tube made of PVC (U-PVC/PVC-U). Compatible with standard grey metric sized UPVC fittings.